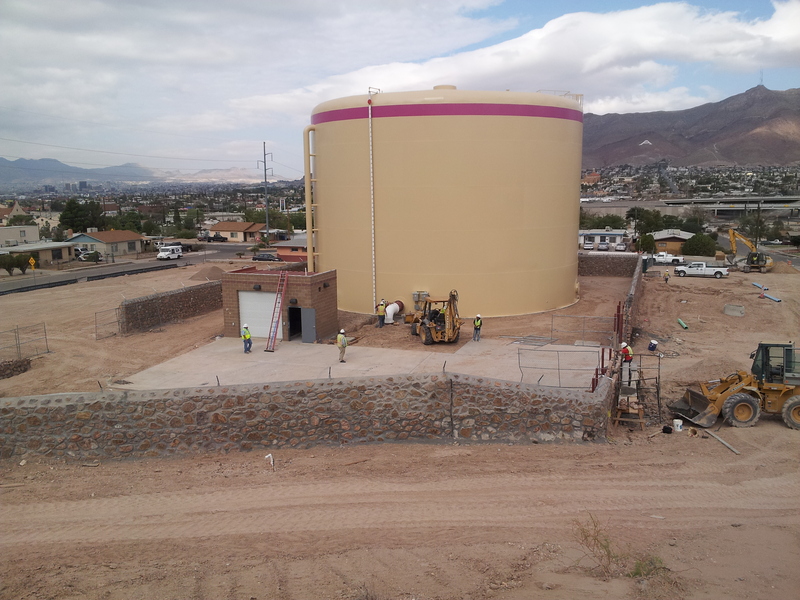 El Paso Water has been delivering reclaimed water to the community since 1963. Today, EPWater supplies golf courses, city parks, school grounds, apartment landscapes, construction, and industrial sites with over 5.83 million gallons per day of reclaimed water. Reclaimed water is also used for the operation of treatment plants (in-plant use) and to recharge the Hueco Bolson through injection wells and infiltration basins. After treatment of wastewater, many utilities simply dispose of their effluent in a river, stream or ocean. EPWater made a decision many years ago to think of reclaimed water as a valuable resource rather than a byproduct for disposal. Every gallon of reclaimed water used to irrigate crops and landscapes or for construction or manufacturing is one gallon of potable water that is saved and does not have to be pumped from our aquifers or treated from the Rio Grande. Wastewater within the EPWater’s service area is collected and treated at one of four wastewater reclamation plants using advanced secondary or tertiary treatment. Who can use reclaimed water? Reclaimed water use has been proven safe for the following types of applications throughout the U.S. and is approved for use by the Texas Commission on Environmental Quality. Reclaimed water is non-potable and irrigation users should be advised that the water has a higher content of salts than potable water, and these salts can accumulate in the soil with time if not managed properly. Customers who would like to request permanent or temporary service must download and complete forms. Learn more here.